Blown insulation settles over time, becoming less effective. Blown insulation contains air pockets trapped between pieces of insulation during installation. Over time, blown-in insulation will settle and lose these air pockets, reducing its effectiveness. The amount that your blown insulation will settle depends on the material it is made from. 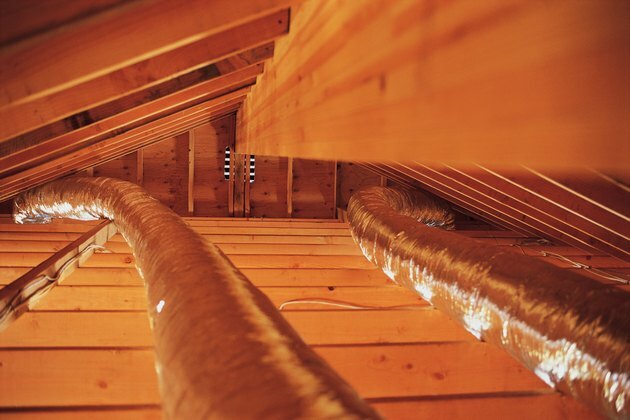 Make sure that vents and conduits do not compress your insulation. Blown insulation is made from three materials that settle in different amounts. Cellulose insulation is the most prone to settling and will undergo a 20 percent loss of R-value due to settling. R-value measures the relative effectiveness of insulation per inch. Blown-in insulation made from rock wool or fiberglass typically loses between 2 and 4 percent of its insulating capacity due to settling. High levels of moisture in your attic can exacerbate this problem, causing insulation to settle more quickly than normal. Since cellulose insulation is capable of absorbing more water than other types of blown insulation, it will decrease in R-value more quickly than the rock wool or fiberglass if it gets wet. The most common method for dealing with settling insulation is to add more insulation. If you are installing blown cellulose insulation, you should increase its thickness by 20 percent to account for settling. Rock wool and fiberglass insulation generally do not require extra insulation since they are much less prone to settling and require a greater thickness than cellulose to achieve an equivalent R-value. Wet spray insulation has a liquid or glue added to the insulation to prevent it from shifting or settling. In walls or other enclosed spaces you can install dense pack insulation, which will not settle due to its increased density. Using wet sprayed insulation requires professional installation since it can add damaging levels of moisture to your walls or attic. Dense pack provides superior R-value and is not prone to settling. However, it is more expensive and may require you to reinforce weak areas of your walls. Dense pack also requires professional installation to achieve the correct density throughout your insulation. Blown-in cellulose insulation is the most prone to settling but provides a higher R-value than the two other types of insulation. If you use fiberglass or rock-wool insulation instead, you will have to install several additional inches of insulation to achieve an equivalent R-value. 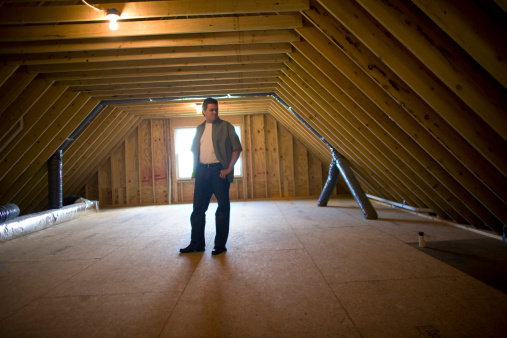 If your existing attic insulation has settled, you can address the problem with additional batt or rigid foam insulation. If you add these types of insulation, insert them underneath your existing blown-in insulation or suspend them directly above to avoid compressing the existing insulation. What Fabric Is the Best for Thermal Insulation for Curtains? How Thick Is R13 Insulation? What is the Average Cost of Spray Insulation?